A total dietary overhaul may be unappealing and overwhelming to many. But with a diagnosis of chronic fatigue syndrome or fibromyalgia, dietary changes can make a BIG difference in symptoms. In some cases very simple dietary changes can have dramatic effects on health. Try removing just these 3 foods from your diet and watch your symptoms improve. Gluten can provoke the immune system even in non-Celiac patients. Gluten peptides interact with a protein on the intestinal lining called zonulin. Zonulin functions to control permeability in the intestine. It acts like a doorman--letting certain molecules pass but not others. In the presence of gluten peptides, zonulin leaves the doors open too long, letting food and microbes pass into circulation triggering the immune system (2). In CFS, where the immune system is already taxed and dysfunctional, avoiding as many immune interactions as possible is a top priority. There is also a high incidence of gut flora alterations and intestinal permeability in CFS and Fibro--a condition known as "leaky gut"--which further necessitates the needs to avoid allergenic foods such as gluten. Finally, a recent study indicated that non-celiac gluten sensitivity was common in Fibro patients (including those with both CFS and Fibro) and that avoidance of gluten led to significant improvements and in some cases complete remission (3)! Sugars feed unhealthy species of bacteria in the gut leading to an imbalance of gut flora. High sugar diets from sweets or refined carbohydrates make certain species of gut flora fat and happy. 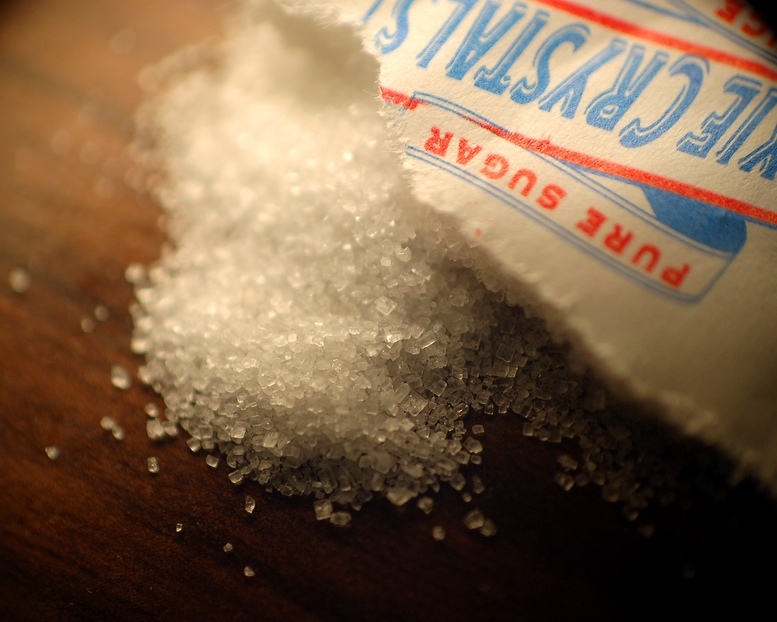 Candida Albicans in particular, thrives on sugary foods. Overgrowth of these unwanted species dampens the healthy population’s ability to keep proper balance in the gut. This imbalance provokes local gut inflammation and loss of gut tight-junction integrity--a leaky gut. Poor gut bacteria also may lead to malabsorption of nutrients and poor digestion of foods (4). 1 Simopoulos AP. (2011) Importance of the omega-6/omega-3 balance in health and disease: evolutionary aspects of diet. World Rev Nutr Diet. 102:10-21. 2 Fasano A. (2012) Zonulin, regulation of tight junctions, and autoimmune diseases. Ann N Y Acad Sci. 1258:25-33. 4 Kau AL, Ahern PP, Griffin NW, Goodman AL, Gordon JI. (2011) Nature. Human nutrition, the gut microbiome and the immune system. 474(7351):327-36.